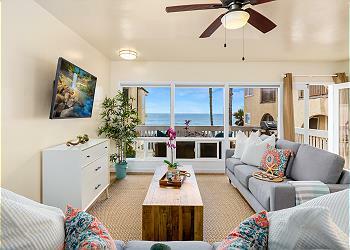 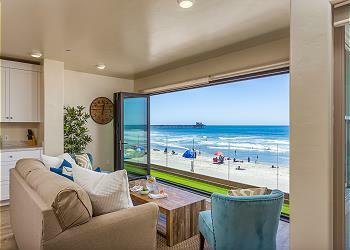 Amazing Oceanside condo on the sand perfect for a family vacation or romantic getaway. 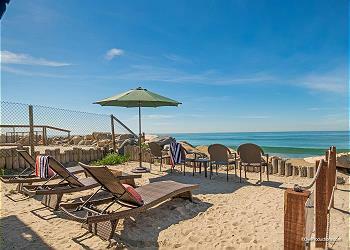 This unit features a gorgeous rooftop deck, oceanfront balcony, a private spa, BBQ, a fireplace, and an open kitchen/living room area. 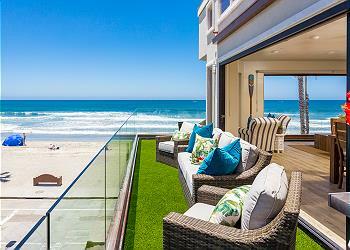 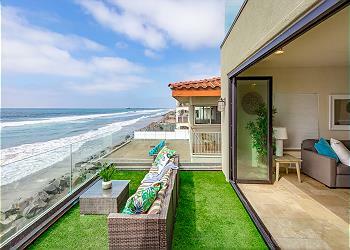 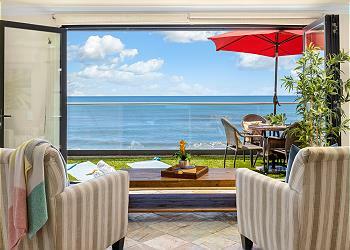 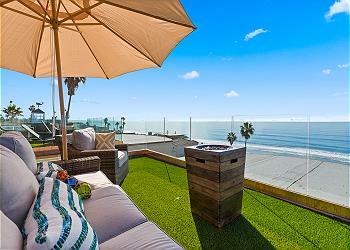 property with a modern aesthetic features fantastic views of the Oceanside beach, right outside the great patio.